Stop for a while in Corwen, like many travellers throughout the centuries, to discover the rich history of this picturesque town. Known as the crossroads of North Wales, Corwen was a resting place for cattle drovers from further west, as well as an important stage-coach stop on Thomas Telford’s notable masterpiece, the improved A5 road. 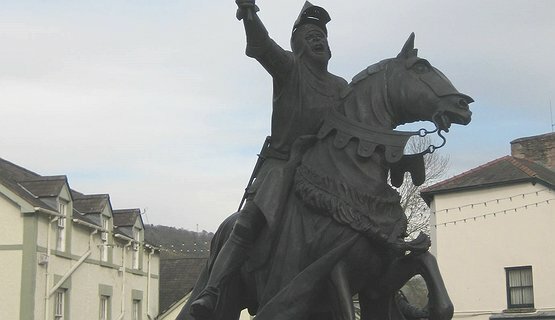 • See the striking statue of Welsh hero, Owain Glyndŵr, and discover what led to last Welsh uprising in 1400. 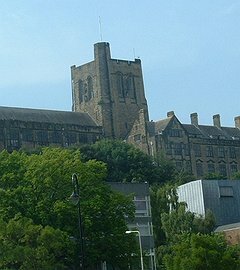 • Find out about the ghost seen in the Owain Glyndŵr Hotel, and the building’s connection with the Eisteddfod. • Stroll along the road to see imposing Corwen Manor, built as a Workhouse for 150 paupers.